Runnymede Robotics would like to thank the teachers who made their competitive team possible this year: Mme. Post, from Runnymede, and Mr. Wang, the robotics mentor from Western Technical-Commercial School. Thanks also to Runnymede VP Ms. Wawrow for her guidance, and WTCS‘s Principal Pang for her gracious support. We are lucky to have WTCS as our neighbour. WTCS kindly provided the space for the Runnymede team. And what a space it is! 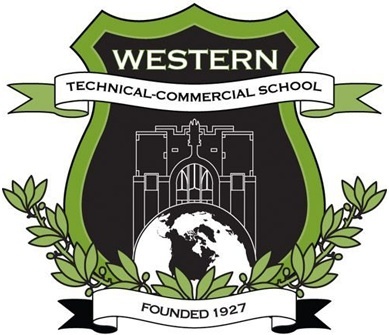 WTCS has the best-equipped robotics lab in the TDSB, and their Robotics team is regularly one of the top performers in the First Robotics Competition (FRC). WTCS students gave Runnymede students demonstrations of their exciting robots and robotic equipment in the lab. Check out the STEM page to read the whole story and see pictures. During our season, WTCS provided high school-aged robotics students, Asha Mills-Emmett and Ethan Kulish as mentors to guide Runnymede students in planning missions, designing and programming. These students are part of WTCS’ Engineering Robotics and Design Studio programs. Robotics is one of the many real world applications available for all students at WTCS to apply their skills and knowledge. To find out more about Engineering Robotics and other amazing programs at WTCS click here. Previous Previous post: Happy 100th Birthday Runnymede!